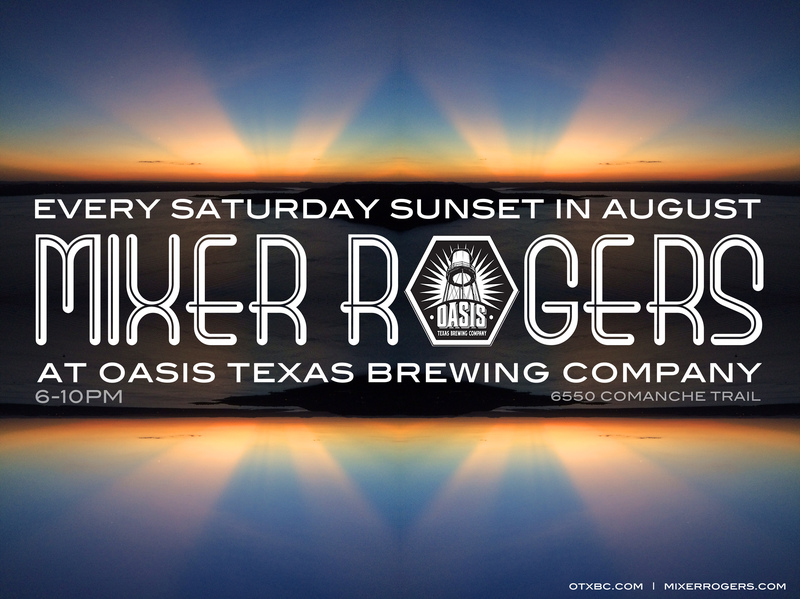 I’ll be playing good music every Saturday in August at the Oasis Texas Brewing Co. from 6-10pm. 6550 Comanche Trail. No cover. Great food by Gibroni’s. Best sunset in Austin. Let’s have some drinks and stare at the full lake together. This entry was posted in Shows and tagged 620, Austin, beer, brewing, Cam, Comanche Trail, company, craft beer, Fun, funky, gibroni's, lake, lake travis, lakeway, Mixer, Music, oasis, Party, Rogers, sunset, Texas. Bookmark the permalink.